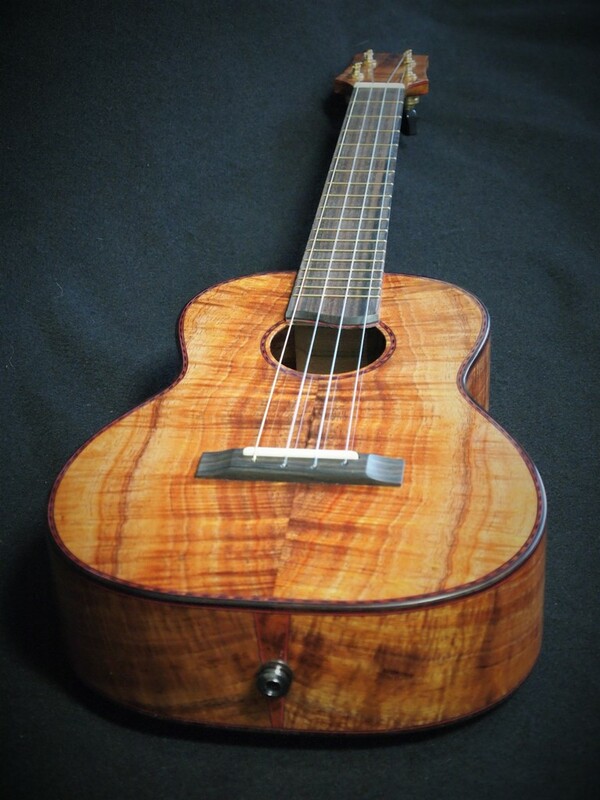 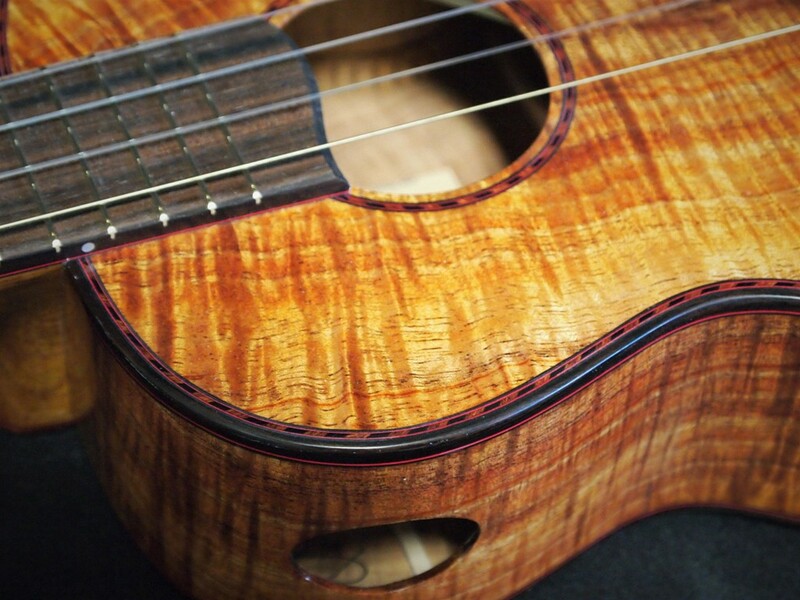 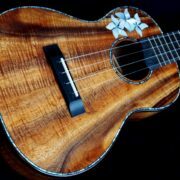 Here’s a new tenor ukulele delivered to Hale Ukulele in San Diego. 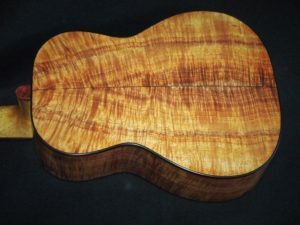 The Hale Ukulele Koa Tenor Ukulele exhibits some Koa wood that I obtained from Notable Hardwoods early last year This Koa was sourced from the Big Island over 20 years ago and Bruce, the owner, is very careful about the aging and re-saw treatment of this precious commodity. 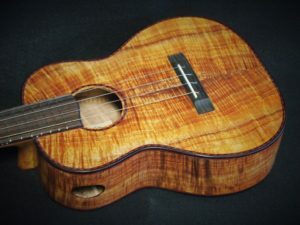 On this build, I used some of my new rope-style purfling which is black, brown, and red in color. I’ve always like this look and this is a welcome departure from the brown/white/black rope-style purfling that I have used in the past. 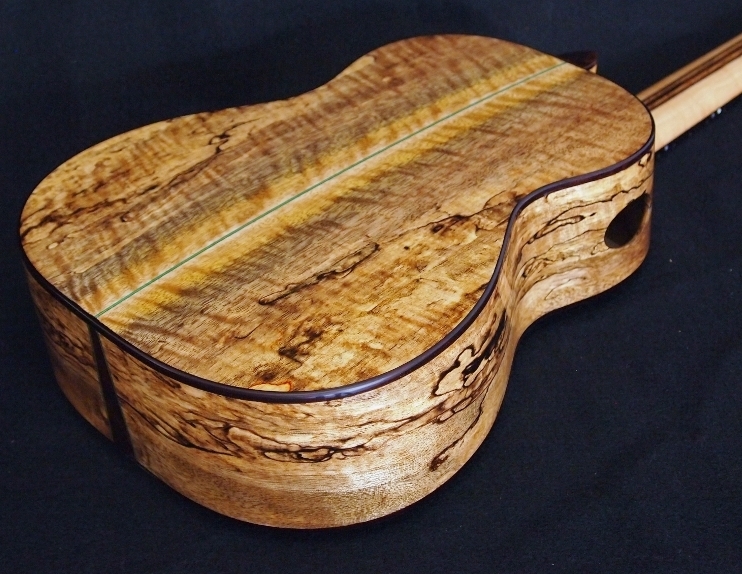 The finger board and bridge are Macassar Ebony, the accent wood is Australian Mallee Burl, the binding is India Rosewood with black/red accents, and the neck is Honduran Mahogany with carbon fiber passive truss rod (of course). 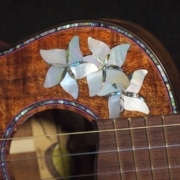 I put a Mi-Si pick-up in this one per Ric’s request at Hale Ukulele.